The South Coast of Sydney – waves, wilderness and Rock n Rollers Pacific Avenue. Touring up and down the east coast and playing with some of the best in the business such as The Wombat’s, Ash Sultana, British India, Ocean Alley and San Cisco to name a few. The boys have also gotten their festivals kicks whilst playing Melbourne’s Baked Goods, Sydney’s Sounds Of The Suburbs and Showtunes Festival. Also, NYE’s Lost Paradise as well as Mountain Sounds Festival. Two accelerators - no breaks! 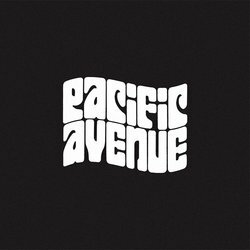 The New single ‘You’ comes off the back of the previous ‘Excuse Me’ - Pacific Avenue deliver the goods once again. Channeling some Brit Pop madness and South Coast energy. All hail the new breed! Adrian Breakspear handled the production duties and it’s safe to say they nailed it. That’s unless you’re ears are painted on? Adrian’s a GRAMMY nominated and ARIA winning producer, engineer and mixer whose credits include Gang of Youths & Boy and Bear.